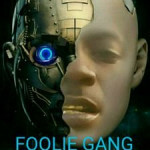 Pimpin Foolie local rap artist from Augusta Ga just so swaggerriffic!Rapper/Songwriter/Producer/Entertainer/Model! Feel Im very versatile on all levels!! !